Cast yourself in an epic adventure by hooking a fishing trip with a seasoned outfitter. Author Izaak Walton called fly-fishing “the contemplative man’s recreation,” but I’m not sure he ever did an action-packed drift on the St. Mary River with the boys from Kimberley Fly Fishing. The fish – feisty little “cutties” of the finest order – were jumping for the flies like kids on Smarties. By noon, we completely lost track of our hit count. But, suffice to say, it was in the hundreds. By 3 p.m., not far from our takeout at the St. Eugene Golf Resort and Casino, our net broke and we had to quit. At any rate, if you live in Calgary – and have a passion for flinging flies – you’re in the right place at the right time. Just like cutthroat in the St. Mary, fly-fishing opportunities are plentiful in these parts. Within a few hours from the city there are, literally, hundreds of options. However, for many in the fly-fishing fold, secluded, “out-there” options in the wild and rugged landscapes of the West are what it’s all about. If that’s your cup of tea, here are a few trips to consider this summer. Join legendary fishing guide Big Jim Dykstra (a.k.a. “The Hawg Slayer”), who has been fishing the Bow River near Banff and Canmore for more than 20 years, for your chance to snag all the species – browns, rainbows, bulls, “cutties,” “brookies” and “whities” – that call the scenic river home. If there is a place in the world that conjures idyllic imagery of lone fishermen in trout-filled streams with a majestic row of snowcapped peaks beyond, it’s Montana. 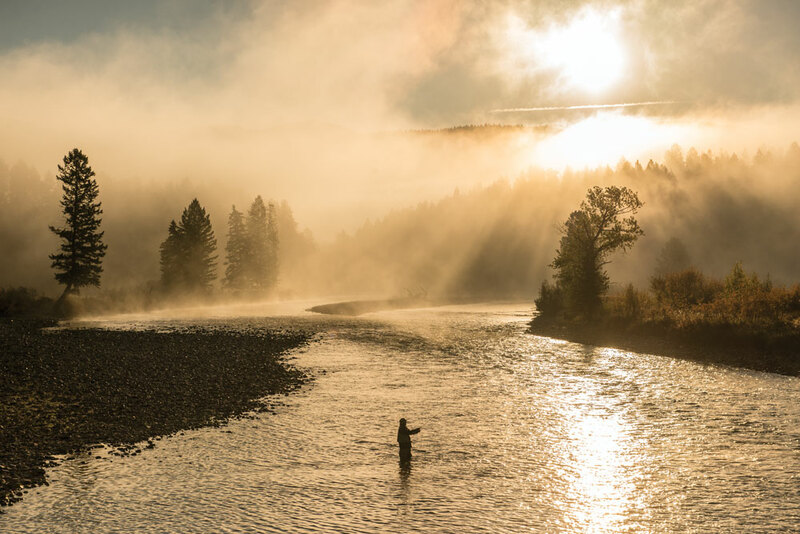 Fish the Middle Fork of the Flathead River for one of the dreamiest getaways out there. The legendary Elk River is home to one of the largest remaining populations of wild, pure-strain westslope cutthroat trout in the world. Also lurking in the crystal-clear waters are monster bull trout that will rip your arms off. Yee haw! Elk River Guiding Company also does excursions in the area. Teeming with westslope cutthroat trout, a native species famous for their intense desire to fight, the glacier-fed, freestone St. Mary River serves up the ultimate drift-boat trip. Kimberley Fly Fishing also offers trips on the Bull, Elk and Skookumchuk rivers. Solitude your thing? Kootenay Troutfitters will take you to some of the most scenic, off-the-beaten-path locations in the Kootenay Rockies. Whether it’s a classic walk-and-wade adventure or a relaxing float on a postcard-perfect mountain lake, they’ve got it covered.